Peter Finch is a full-time poet, critic, author, rock fan and literary entrepreneur living in Cardiff, Wales. Until recently he was Chief Executive of Literature Wales (formerly Academi), the Welsh National Literature Development Agency. As a writer he works in both traditional and experimental forms. He is best known for his declamatory poetry readings, his creative work based on his native city of Cardiff, his editing of Seren's Real series, and his knowledge of the UK poetry publishing scene. His latest work, however, traces the music all the way from Cardiff to Mississippi and back again. The Roots Of Rock appeared from Seren in November, 2015. He is an Honorary Fellow of the Royal Society of Architects of Wales (RSAW), a Fellow of the English Association (FEA) and a Fellow of Yr Academi Gymreig / The Welsh Academy. He won the Ted Slade Award for Service to Poetry in 2011. These days he is much in demand as a reader as well as a lecturer at festivals and venues up and down the country. You can get into Finch's performances. There's little deliberate obscurity. His talks on Cardiff and how it is with urban living are always entertaining. From the early seventies until the late nineties he was treasurer of ALP, the Association of Little Presses. From 1968 to the mid-1980s he involved himself in the organising of weekly poetry readings in Cardiff. These events encouraged new writers and celebrated the established. Between 1975 and 1998 he ran the Arts Council of Wales's specialist Oriel Bookshop in Cardiff. 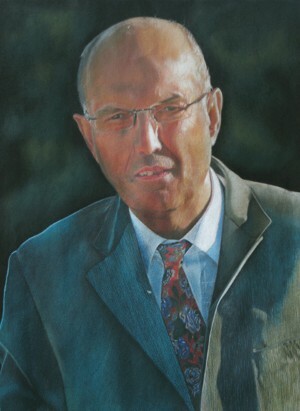 In 1998 he was appointed Chief Executive of Yr Academi Gymreig/ The Welsh Academy - later Literature Wales. He stood down in 2011 to write full time. Peter Finch has published more than 25 books of poetry. His most recent is Zen Cymru, published by Seren Books. His other titles include Food, Useful & Poems For Ghosts (Seren) and Antibodies (Stride). His The Welsh Poems appeared from Shearsman in 2006. His Selected Later Poems was published by Seren in 2007. A recent work is hammer lieder helicopter speak a sonic history of twentieth century music published as number one in Antonio Claudio Carvalho's revived futura series put out by p.o.w. ( poetry / oppose / war ). There are four examples of his poetry incorporated into public artworks in the city of Cardiff. 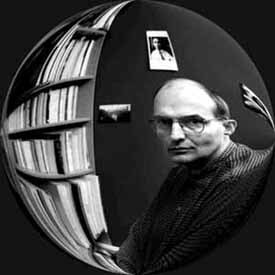 His prose works include a number of critical guides including How To Publish Your Poetry and How To Publish Yourself (Allison & Busby) as well his famous alternative handbooks, guides and literary rambles, Real Cardiff , Real Cardiff Two and Real Cardiff Three (Seren). With Grahame Davies he edited the anthology The Big Book of Cardiff (Seren). He is currently editing titles for Seren's Real Wales series and has published a book that takes in the whole country - Real Wales. His Edging The Estuary, (2013) is a psychogeographic unravelling of the Bristol Channel. 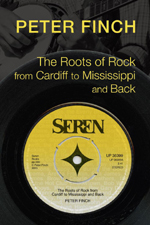 His latest book is The Roots Of Rock From Cardiff To Mississippi And Back. He is currently working on a further book about Cardiff. Nerys Williams's essay on Finch's work appears as Recycling the Avant-Garde in a Welsh Wordscape in Slanderous Tongues - Essays On Welsh Poetry in English 1970-2005, edited by Daniel G Williams and published by Seren, 2010. Finch writes the self-publishing section for A&C Black's Writers' & Artists' Yearbook. He is a book reviewer and writes articles on Cardiff, Wales and the Severn Estuary. His poetry and criticism is widely published in magazines and anthologies. Finch has also worked on a number of poetry and public art projects including the Demon Trap (with Maggs Harries) for Swansea's Year of Literature, Breathing In Time Out with Dutch artist Jeroen Van Westen for CBAT's Lamby Way Landfill site project, and with Brian Hughes of LifeWorksLife Creative Consultants for British Telecom's Internet Data Centre IDC in Cardiff Bay. He has recently completed a project to record the history and psychogeography of the Red House pub on Ferry Road.
" The man is like Alka-Seltzer. His words (and sounds) fly at you and fizz in your face.....Breathless and manic with dramatic pedigree, and funnnier than most stand-ups, Finch's 'intros' had the audience howling at every turn." -John Elcock, (on a last Thursday performance at the Dylan Thomas Centre in Swansea), Roundyhouse. "This is a marvellous book - one of the very best books about a city I have ever read. It makes me feel terribly old-fashioned - superficial too, because I have never actually lived in the cities I have written about. I skip most of the poems, which I don't understand, but everything else in it is gripping me so fast that I have momentarily suspended my first ever reading of Wuthering Heights." - Jan Morris, writing to the author. At length every one will call me . . . Finch. Felt the ground rise up under me. I was with Aneurin at Catraeth in the spring. Just there to drink glasfedd really. And to sing. Last time I volunteer for anything. watched the long mournful shadows fall. Still - you can't win them all. I was with Llywelyn at Cilmeri. Said: 'Arglwydd, this place feels creepy. I was with Glyndwr at the end. Left him to fetch my pen. Came back: he'd gone again. Harri, John Tripp and Gwyn. a word in a book, a pixel on a screen. over the bar that ebbed and flowed. Elis's chain saw, chanted Basho. growling at the top of the stairs. the pain of the frozen peas. as we learn the inevitable laws of urology. 3 Bronwydd Avenue, Penylan, Cardiff CF23 5JP, Wales. There's a mobile but he's not giving that number out. to write for your magazine.